This Week in Oklahoma Politics, KOSU's Michael Cross talks with ACLU Oklahoma Executive Director Ryan Kiesel and sitting in for Neva Hill is former House Speaker Kris Steele. The three discuss the teacher walkout announced for April 2nd, calling on lawmakers to follow through with the 2003 law requiring education budgets to be completed by April 1st and House Republicans reelect Atoka Representative Charles McCall to be Speaker in the next legislative session. 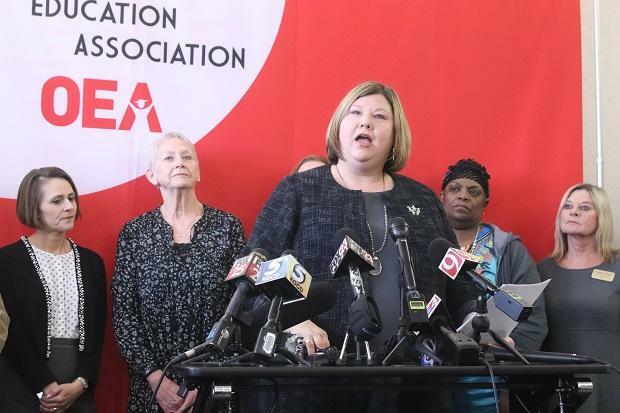 In the first public press conference since talk of a statewide teacher walkout began, the largest Oklahoma teachers union laid out their demands for the state legislature. 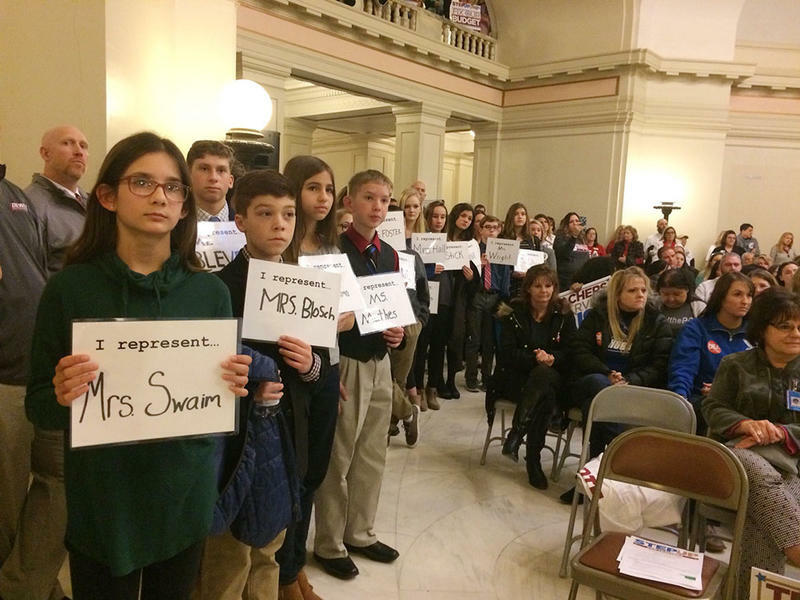 Many Oklahoma educators are fed up with state lawmakers who have promised teacher pay raises for years but have failed to actually deliver. At their wits end, these teachers are now planning to walk out of their classrooms to push legislators to act. The Superintendent of Bartlesville Public Schools, Chuck McCauley, says the idea for the walkout started in his district in September. Staff that participated in the last Oklahoma teacher strike in 1990 proposed revisiting the tactic at a school board meeting. NPR's Mary Louise Kelly speaks to Bloomberg reporter Josh Eidelson about the possibility of teachers strikes in Oklahoma and Kentucky, following one in West Virginia that ended with teachers getting a pay raise. Teachers in West Virginia headed back to work today after a nine-day strike. Their protest was over salaries that were among the lowest in the nation. And their protest worked. They secured a 5 percent raise. So might the success in West Virginia inspire teachers in other parts of the country to agitate for a pay raise? Updated: March 7 at 9:49 p.m.
There’s been a lot of chatter on social media about when a statewide teacher walkout might take place. 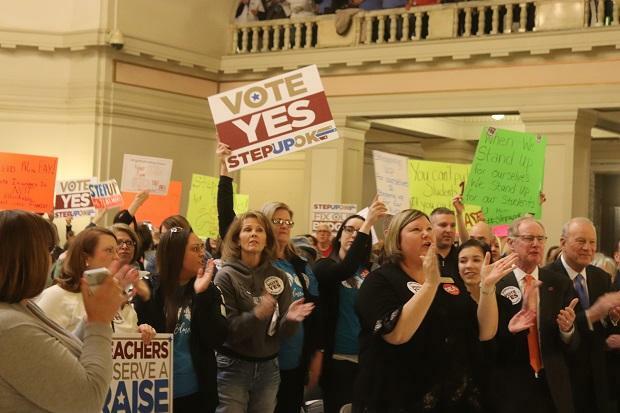 On Wednesday, the president of the Oklahoma Education Association—Alicia Priest— revealed the union’s official plan. She said in a Facebook video that lawmakers have until April 1st to pass a budget. 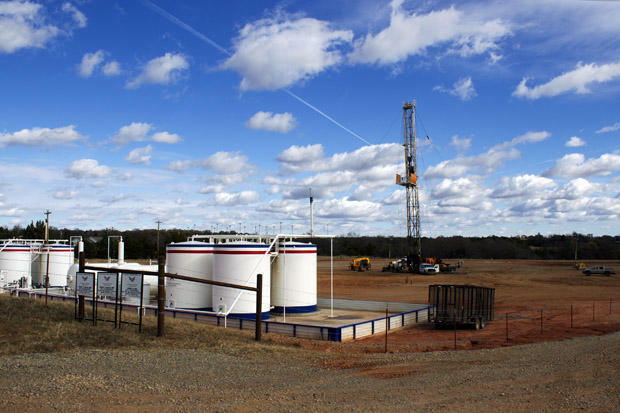 A group wanting to raise gross production taxes is gearing up after the failure of Step Up Oklahoma. 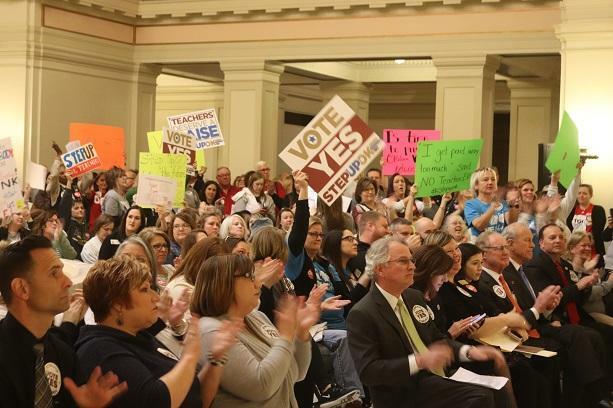 Restore Oklahoma Now is proposing State Question 795 to raise GPT to 7% which will bring in an extra $288 million with most of that going to common education. Executive Director Mickey Thompson says he delayed pushing forward while Step Up Oklahoma worked its way through the State Capitol. 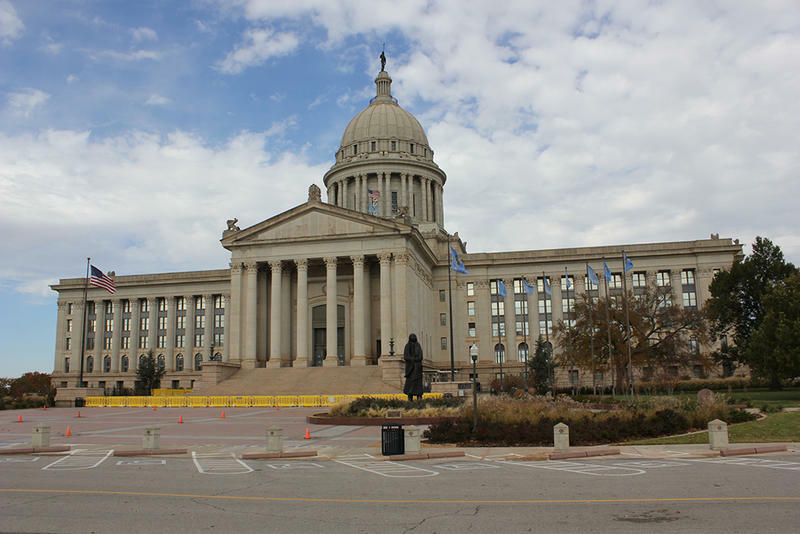 Updated Tuesday at 8:37 a.m.
A bill to raise revenue for the Step Up Oklahoma plan failed to get enough votes to pass the House yesterday. The measure received only 63 of the 76 yes votes needed for passage. During debate, House Speaker Charles McCall admitted the bill wasn’t perfect, but it would fix the issues with the budget. "A $5,000 teacher pay raise, certainty with our health care, funding for our infrastructure ― these are clearly things that the people of the state of Oklahoma sent us to this chamber to take care of on their behalf." 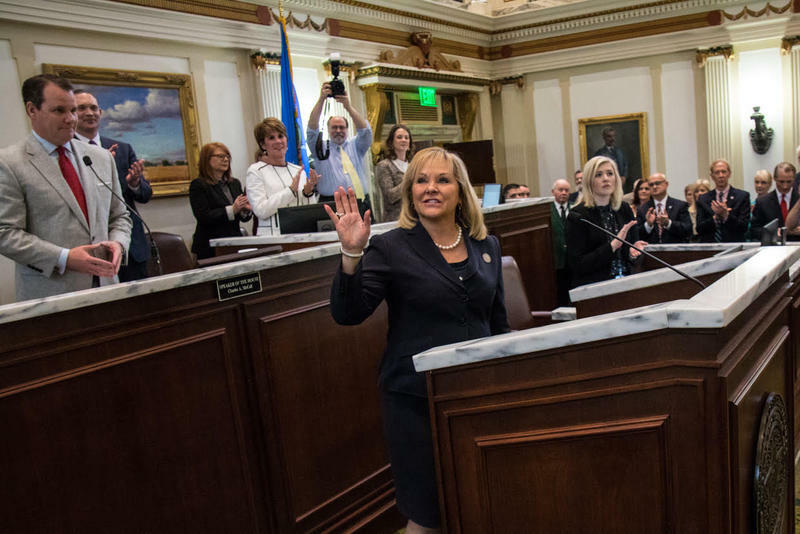 Governor Mary Fallin urged lawmakers to find compromise and steer clear of budgetary and legislative chaos in her final State of the State address at the Oklahoma capitol on Monday. The speech laid out a number of Fallin's priorities for the legislative session.